Brian Schweitzer: Did one Democrat's decision this weekend cost the Democrats control of the Senate? Did One Democrat’s Decision This Weekend Cost the Democrats Control of the Senate? 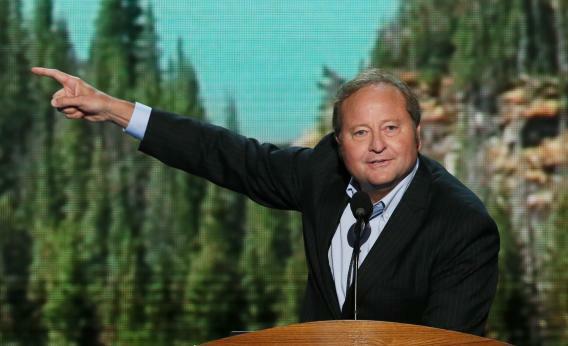 Brian Schweitzer is heading for yonder Montana hills. Anyone who covers elections knew that Brian Schweitzer’s decision to pass on a Senate bid was bad news for Democrats. The two-term governor, who actually ran for Senate in 2000 (his narrow loss made him a sort of star), was widely expected to run and to win. He polled better, actually, than retiring Sen. Max Baucus, and he made sure his friends on social media knew this. Top-tier Republican candidates had stayed away from the race. Maybe, if everything broke the right way, they’d oppose him. But they’d be underdogs. Doesn’t matter now, because Schweitzer chose the weekend of the state party convention to say he wasn’t running after all. He credited a desire to stay in Montana; Democrats and Republicans agreed he was spooked by oppo connecting him to super PACs. (Republicans take credit for the oppo, whereas Democrats sound pathetic.) One Schweitzer-connected strategist emailed me one word about the news on Saturday: “YOLO.” But the strategist continued to insist that Baucus’ people had sandbagged Schweitzer, and that the party might not field any candidate. Oh, why am I talking about this when we have Nate Silver? Silver was one of the few pundits bearish on the GOP in 2012, so I’d listen to him. The goal for Democrats is to tempt a high-second-tier candidate into the Montana race, promising them that a midyear lame-duck election against an unpopular Republican Party is still winnable. Hey, no chance of another gun bill coming up this year; probably no chance of immigration. State Auditor Monica Lindeen, who hasn’t ruled out running, first intrigued national Democrats with a 2006 House race that looked like a package deal with Jon Tester’s Senate bid. She ended up getting creamed, but came back to win one of the least-harmful-sounding statewide offices in 2008 and 2012. Last year she ran 12,000 votes ahead of Tester in a much higher-profile race. I detected a good deal of Democratic panic on Friday, but see less now, as the bench comes into view. *It’s pretty remarkable that open Democratic seats in Iowa and Michigan, states that used to be competitive, haven’t fallen onto the target list, and surprising that Colorado’s Mark Udall is considered safe. An optimistic Democrat would call that proof of how far the GOP has swung right since 2008. A realist would say that any of these could eventually become competitive.